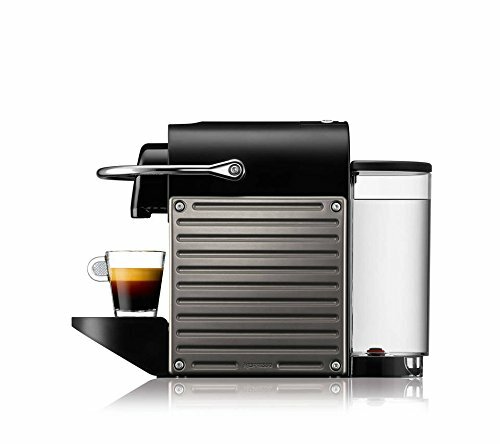 The first thing that is noticeable about the Nespresso Pixie is its price. For less than $150, you get what you pay for; A standard high-quality espresso machine will run you up at least a couple hundred bucks. The machine comes with a 24 oz water tank, capable of produces many a standard cup size (8oz.) A decent water tray will allow for roughly 12 single shots with each fill. The temperature regulated water tank produces the optimal cup of coffee – nothing is restrained with a 19-bar pressure pump. The coffee maker as a lightweight pod machine allows for two standard styles of drink: espresso or lungo. Lungos, for those who are learning the coffee world, can be a mild cup with full body and high intensity, all while maintaining a decent crema. Slightly larger than an espresso brew, a lungo is known to be milder, rounder, and with a smoother taste. Of course the Nespresso doesn’t just offer coffee options. If you like lattes you can purchase a frother and combine milk with an espresso shot to bring a café drink to one’s home. The Nespresso brand, of course, is all about convenience, so this is an ideal machine for those who can’t make a trip to a café, but the fact that it requires extra equipment to make basic café drinks is a bit of a deterrent. To accommodate for a more hectic lifestyle the Nespresso has important features such as a removable tray in case one decides to create a latte or simply brew a cup with multiple shots. In case you are in a hurry, the Nespresso has an automatic shut off function after 9 minutes of inactivity to make sure you aren’t wasting energy as you move on with your day. On the other hand, because the machine turns off relatively quickly the start-up time takes an easily manageable 25-30 seconds. Enough time to find the perfect pod after pressing the power button. The main lacking function of this lightweight coffee machine is its branding. 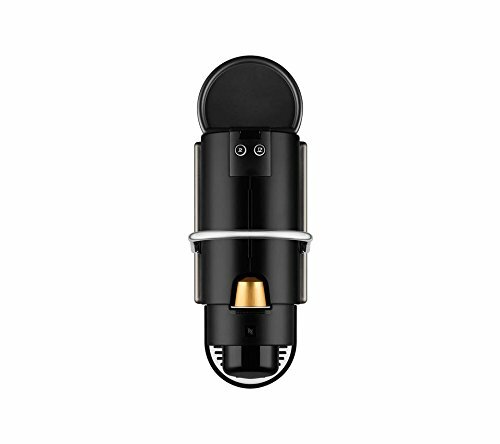 As a Nespresso machine, it does not come with the option to mix pods (which is not recommended for many machines as it may disrupt or even break said machine). If you’re hoping to make a cup out of your own high-quality grinds, you won’t be able to do so with a Nespresso machine without risking damage. The best option is to stay within the Nespresso family and use the company’s products, and the Nespresso pods are not of the highest quality coffee and lack customized tastes. For someone who is new to the world of espresso and at-home cafe-style drinks, this machine combined with a frother is the cheapest and easiest option. While it won&apos;t make the absolute best brew (since you are restricted to using the Nespresso brand pods), what it lacks in flavour it makes up for in convenience. If you&apos;re looking for a cheap and easy little machine for your kitchen counter, it&apos;ll do the job just fine. But if you&apos;re looking to make high-quality espressos and cafe-style drinks, keep shopping.